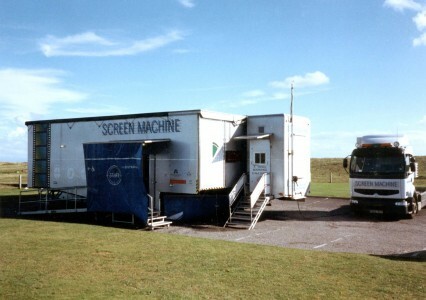 Colour photograph of the Screen Machine in Crossapol in August 2000. The travelling cinema, the Screen Machine, in Crossapol in August 2000. Audio cassette recording of Janet MacIntosh of Scarinish talking to Maggie Campbell on 21/5/2004. 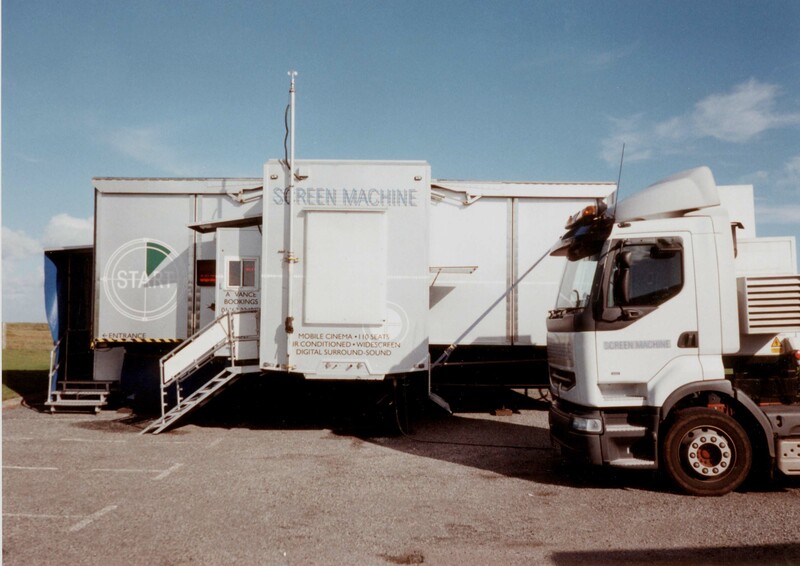 Audio cassette recording of Vivienne Johnston talking to Dr John Holliday in March 2000. Vivienne Johnston of Heanish talks to Dr John Holliday in March 2000 about her relations in Balemartine, coming on holiday every year as a child then as an evacuee in 1939, her stay at Taylor’s Cottage, her experiences at Balemartine School where Gaelic was the language of the playground, the kindness of the MacDonalds at Catrim, going to the pictures, the wartime plane crashes, experiences of her later life and how living on Tiree has affected her. Photocopied applications for cinema licences, 1935 and 1947. (1) Letter from W. Mack dated 24/7/1935 to the County Clerk requesting a licence to show pictures at Tiree and Lochboisdale, (2) Letter from D A Benson dated December 1947 requesting application forms for a licence to open a cinema at the Airport Club by the Ministry of Civil Aviation.